NUTS for the New Year!! One of my New Year’s resolution is to eat more nuts! Yes, I did say nuts. You might be thinking I’m crazy…. just wait…. I am NOT talking about those little baggies of M&M’s with 2-3 nuts in them that we all like to pretend is healthy. Let’s be real, I am talking about RAW, ORGANIC, SOAKED, NUTS. Let me take a few minutes to explain why these amazing little things are so good for your health, and why I will be eating more of them for the New Year! BUT–you need to make sure you are eating them the CORRECT way!… so keep reading!! 8. High in minerals such as Zinc, Magnesium, Calcium… all for bone health. 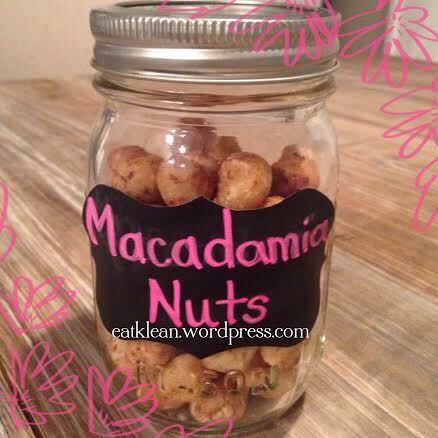 So you might be asking, “Why do you have to SOAK nuts?” I’m so glad you asked! Nuts have phytic acid. This acid binds to minerals in the gastrointestinal tract and can not be absorbed in the intestine. It also binds to minerals in your body which can lead to mineral deficiencies. By soaking the nuts, you are breaking down the phytic acid so it can be absorbed properly, therefore you are receiving the FULL benefits of the nuts. Nuts also have high amounts of enzymes inhibitors. This is another reason why un soaked nuts are hard to digest. Soaking nuts neutralizes this enzymes which allows your body to digest it properly. Soaking the nuts also INCREASES FLAVOR! It’s SUPER easy too! Here’s what you will need to do. 2. Soak your nuts in a bowl with purified water, enough to cover ALL the nuts. 3. 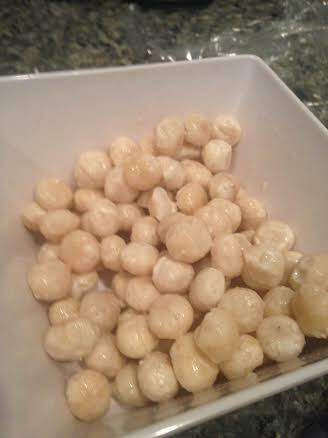 Add 3 teaspoons of salt to the water, for ever 2 cups of nuts. The salt is NECESSARY to help break down the enzyme inhibitors. 5. Dry the nuts thoroughly. 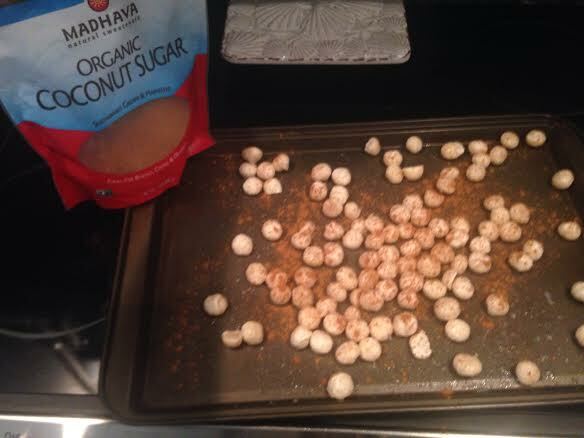 How you will do this is by placing them on a cookie sheet, and throwing them in the oven at 150 degrees. A dehydrator is the ideal way to dry them, but most of us do not have dehydrators. Most ovens will only go as low as 175, so just put the oven on the lowest possible setting, and you can leave the door open a crack. 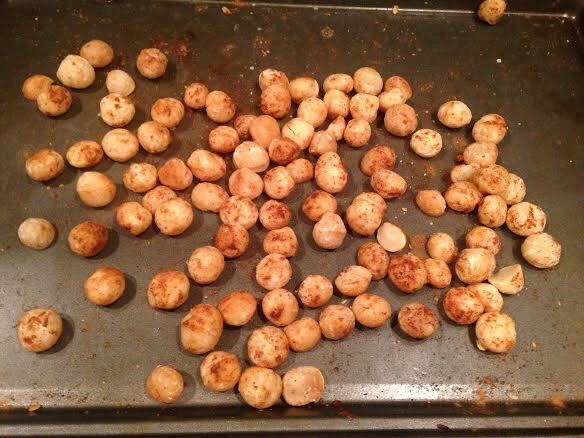 Let them stay in the over for about 8-12 hours, or until crunchy. Different nuts will need longer time. 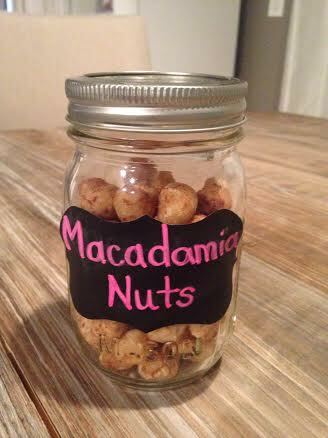 With my macadamia nuts, I only dried them for 8 hours. 7. Store your nuts in the fridge when they are finished. Invigorating Face Mask You Can Eat! Are you sick of spending tons of money on facial care products that don’t work and are filled with chemicals? Did you know that your skin is the largest organ of your body? Therefore, you should not be putting anything on your skin that you wouldn’t be able to eat. :-0 When we put it in that perspective, it changes a lot. Why not use what we already have in our kitchen to tighten, brighten and clear our skin? 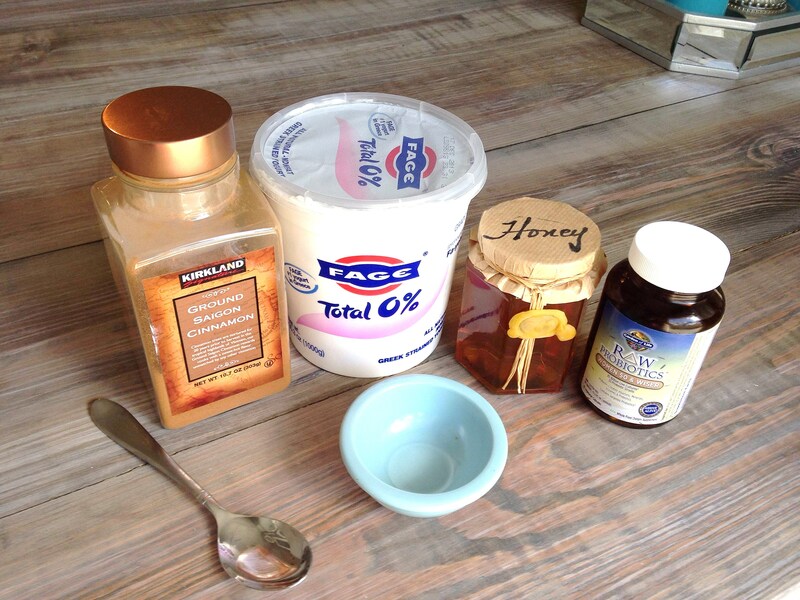 This face mask is easy to make, cost effective, and will give you great results. 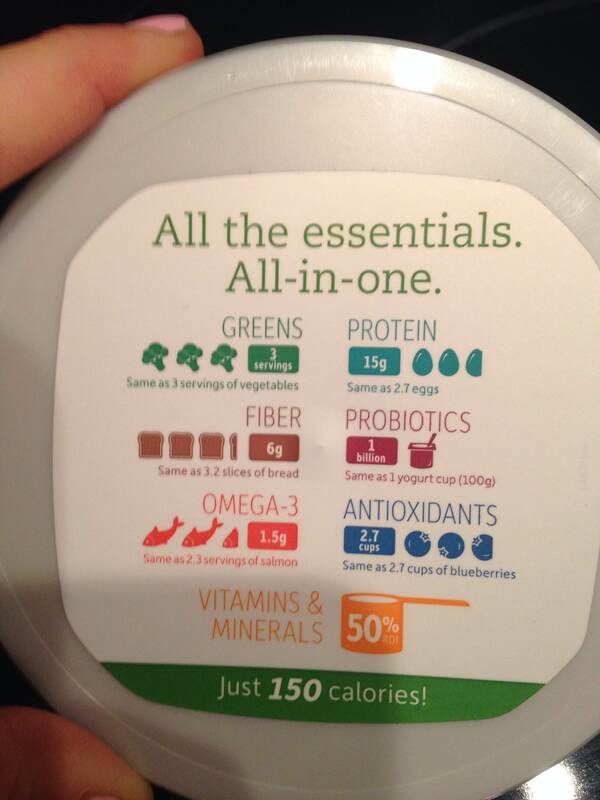 Read below to find out why these ingredients are the ones I chose. a. It is perfect for all skin types, especially acne-prone, sensitive skin. c. It has the ability to moisturize your skin without adding oils to it. d. (When left on for 30 minutes) It will exfoliate, unclog, and clarify your pores. e. It is extremely HIGH in antioxidants which restores damaged skin, and wrinkled skin. 3. 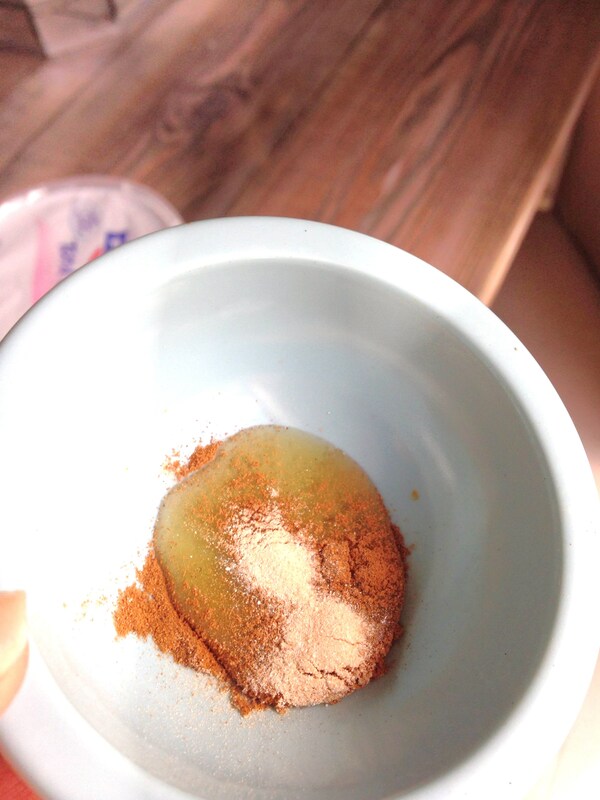 Cinnamon: Cinnamon reduces acne causing bacteria, and also brings blood to the surface of the skin. This promotes quicker healing and skin renewal. 4. Probiotics: Probiotics are filled with the same health benefits yogurt offers, but triple the amount. I add 1/4 of a capsule to my face mask, to increase the benefits that the yogurt offers. I wake up every single morning at 5:30 am. I don’t have to wake up that early, but I choose to because the extra time I get to prepare my meals, shakes, take my vitamins, drink my detoxifying lemon water, etc are all so important. In fact, I know that if I chose to sleep in a little bit later, I would actually be much more tired throughout the day. As a teacher, I get to compare my energy levels with the kids on a daily basis. 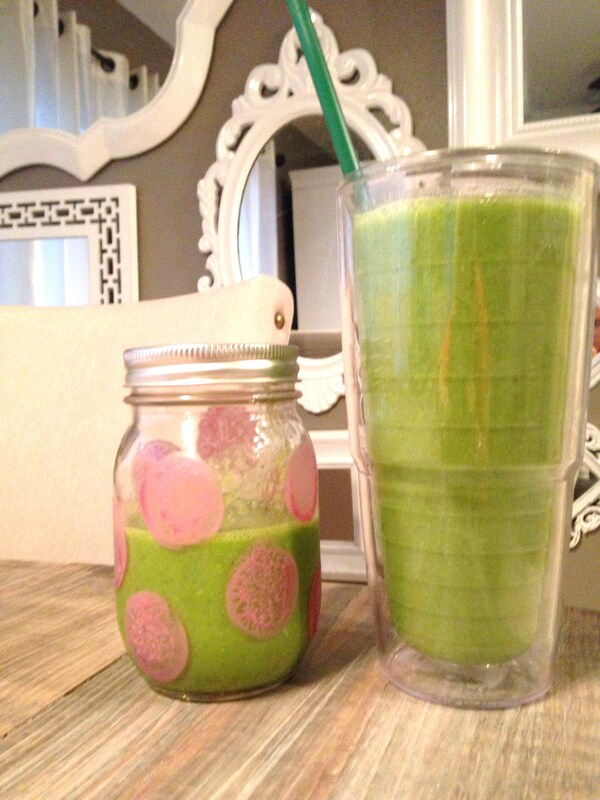 The days when I take the time to make this shake for myself, I am a completely different person! It blows my mind away!! 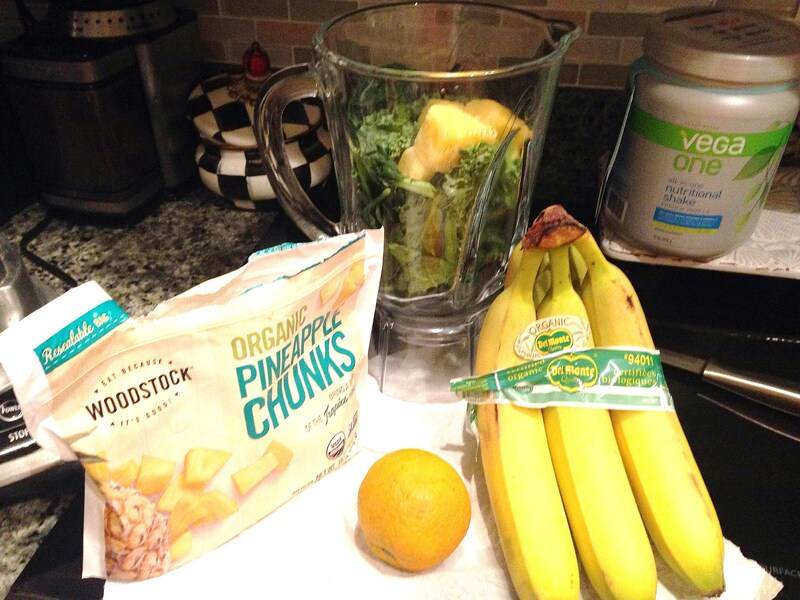 Do yourself the BIGGEST favor, set your alarm a few minutes early and take the time to make this shake. You will not regret it. The health and energy this shake provides are so worth it! So, why do I put these certain ingredients in my shake? I’m glad you asked! 🙂 First of all, I obviously want it to taste yummy. 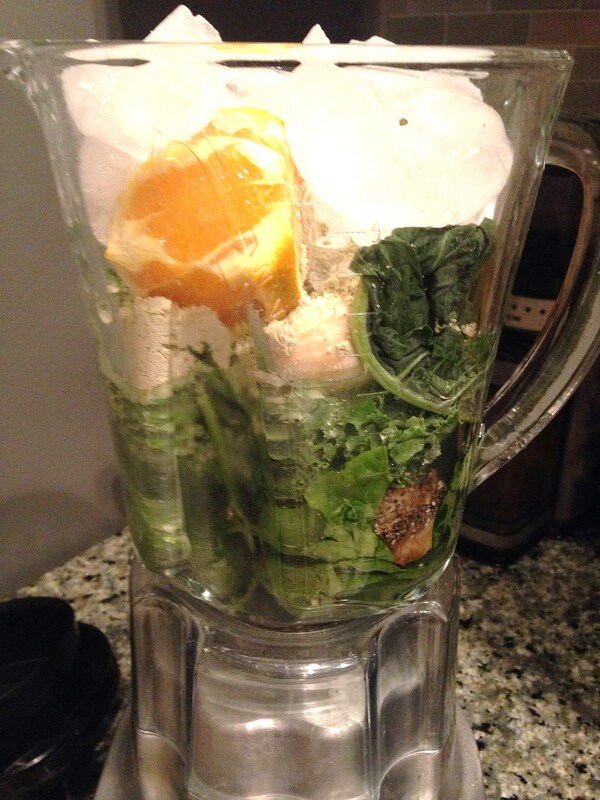 I love my greens first thing in the AM, and it helps when you have a creative way to make it yummy. First and foremost I put kale, and spinach in the shake. Kale is being called the “queen of nutrition” or the “powerhouse of nutrition.” The anti-cancer and anti-inflammatory benefits this little green leaf offer are proof to me that there is a God! 🙂 How can that be an accident? 🙂 Anyways…..It is really high in vitamin k, iron, fiber, magnesium… the list goes on. This little green leaf is known to help with arthritis, Alzheimer’s, asthma, bone health, cholesterol levels,… the list just goes on and on. I change up the type of kale I buy too. Sometimes I buy green kale, sometimes black kale. They all offer amazing benefits. Spinach is like Kale’s sister. 🙂 They both are incredibly high in nutrients. The ENERGIZING part of this shake is the Maca. Man, I could run marathons on the days I take this. PS: I do not notice the same benefits when I take the capsules. When I put a teaspoon in my shakes, I seriously do not need coffee. Maca Powder: I like to call this amazing stuff, “Miracle Powder.” It naturally provides the body with energy, without caffeine. Aside from the fact that it’s PACKED with minerals and vitamins; Maca powder helps to naturally balance the hormone levels in our body. Girls, this powder is amazing for helping with PMS and menopause. I will warn you though, you only need 1 teaspoon a day, preferably before 4:00 pm. 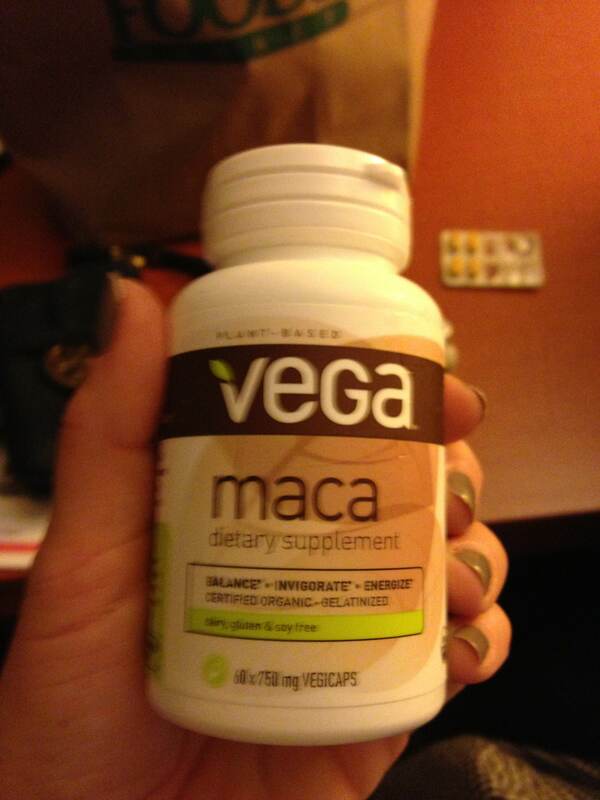 More is not better with Maca. Next, I put one scoop of vegan, vanilla protein powder in. I do this to help me sustain hunger, keep me full, boost my metabolism, build muscle mass, shed fat, AND the protein powder itself is also packed with nutrients. Check out the Vega One protein powders. I am REALLY loving them! 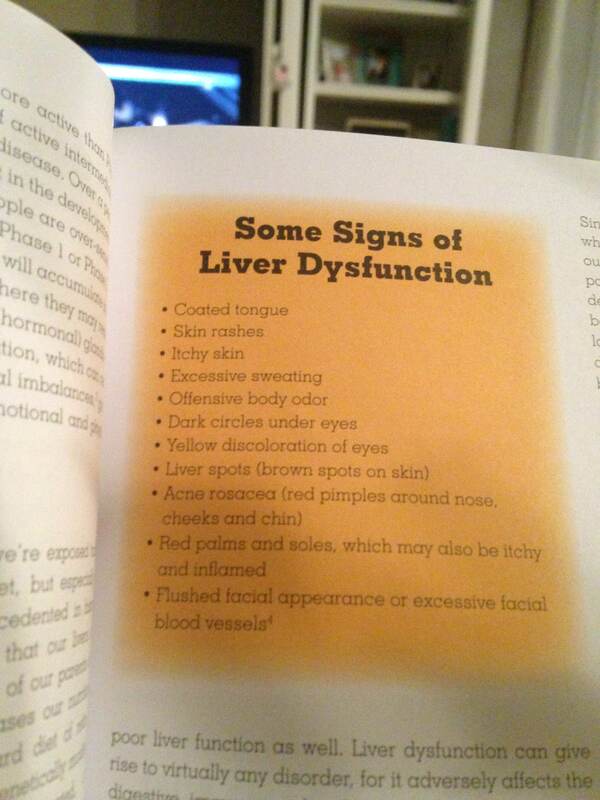 Liver means life. It is an organ we simply cannot live without. It is responsible for breaking down fats in your body, as well as balancing hormones, regulating blood sugars, and assists in the absorption of vitamins. We are spending way too much time in our lives trying to treat symptoms, rather than heal the internal parts of our bodies. Did you know that the liver and kidney are the organs that age us? If you do not have a clean liver, you don’t have clean blood. 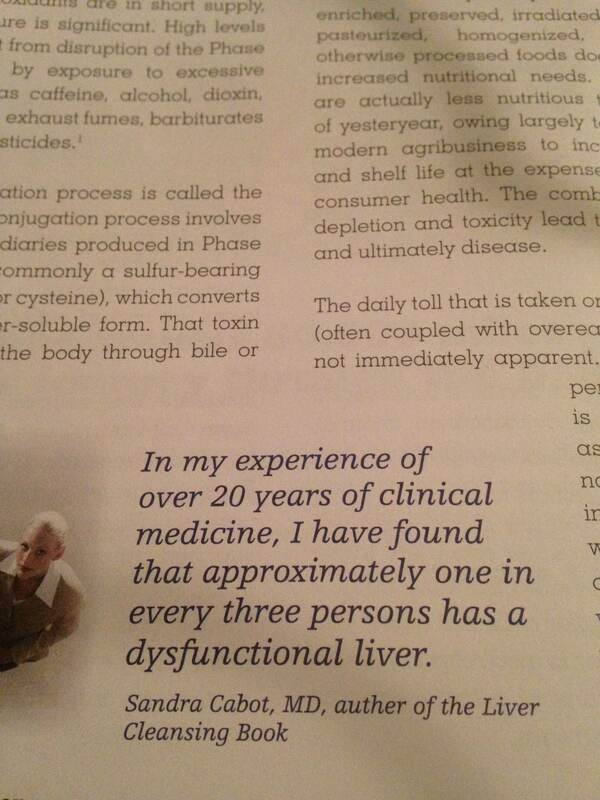 The liver cleanses the blood of all the toxins and chemicals we eat, drink and put into our body on a daily basis. This is one of the books I have started reading. I highly recommend it. 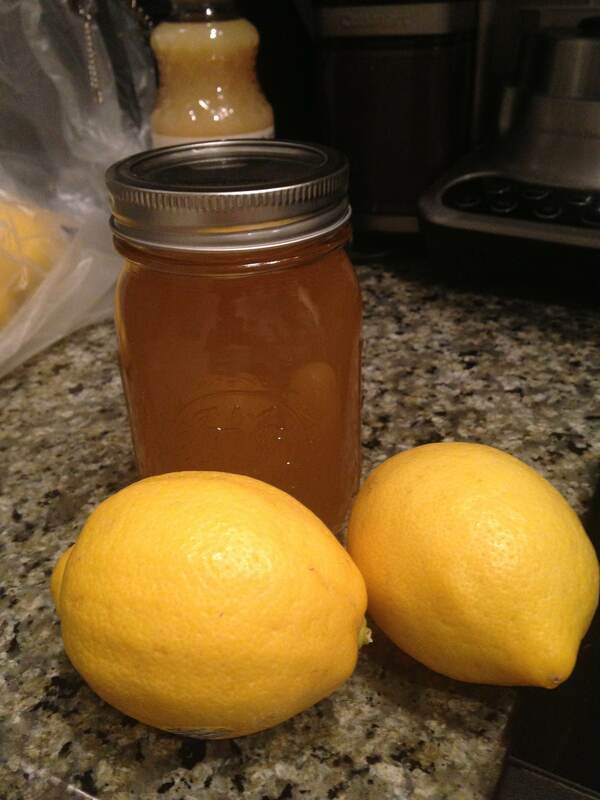 Join me for the next week as I do this liver detox. 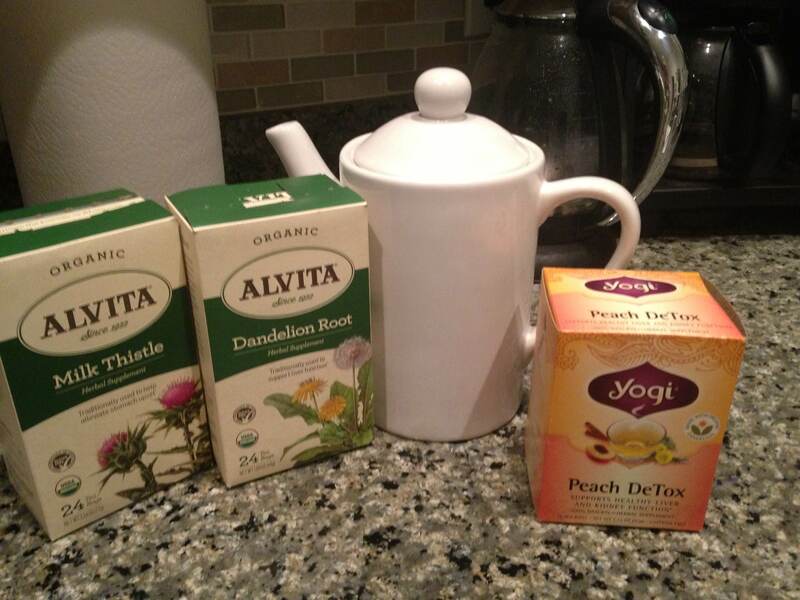 First, Boil a big pot of tea with the following tea bags: Dandelion root, Milk Thistle, and Peach Detox tea. I put 2 bags of each in the tea pot, and add 6 cups of boiling water. I put 2 slices of lemon inside as well. Allow it to sit for 10 minutes and pour into separate containers. Drink 4-6 cups daily, for 30 days. 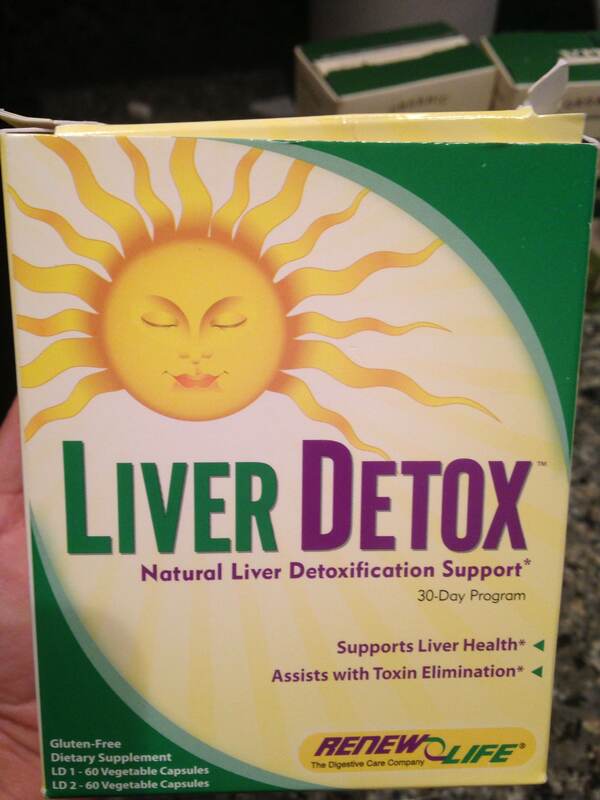 Next, you need to purchase this Liver Detox kit. It contains a day time detox and one for the evening. This will continue for 30 days. A few important things to keep in mind as you are detoxing. 4. Avoid all alcohol, caffeine (if you can), sugar, and all white carbs. 5. Liver detoxes are known to make you crabby and can probably leave you feeling tired. Get plenty of rest and know that this detox is making your body cleaner and healthier with each passing day. Good luck! I will be doing it with you!! How much fun is it to have at your own spa night at home? 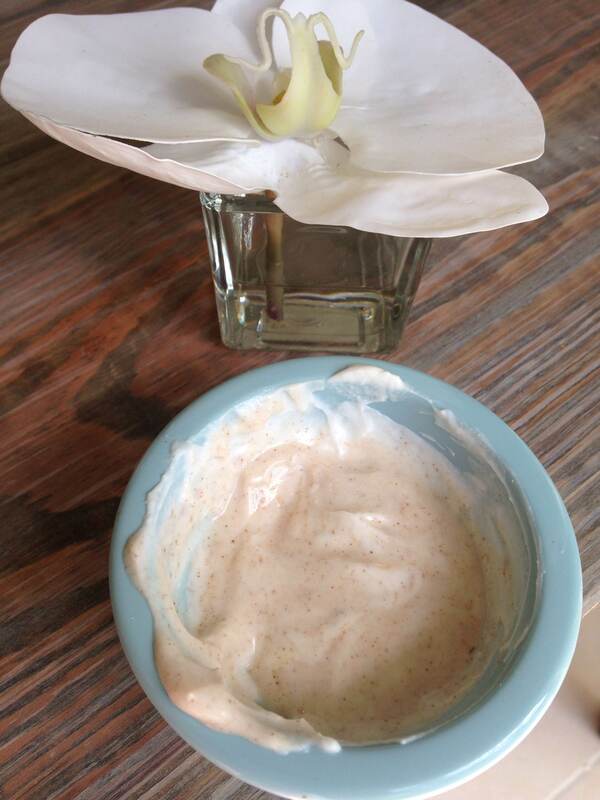 I give myself an at-home “facial” twice a week with this amazing, sticky, sweet goodness! You don’t have to worry about loading gallons of toxins into your skin- like a lot of other facial masks will do. This all-natural food is so powerful in healing and restoring– you will love the way it makes your skin glow! Let me tell you just explain a few reasons why this delicious goodness should not just belong in your pantry, but also under your bathroom sink. 1. It is perfect for all skin types, especially acne-prone, sensitive skin. 3. It has the ability to moisturize your skin without adding oils to it. 4. (When left on for 30 minutes) It will exfoliate, unclog, and clarify your pores. 5. It is extremely HIGH in antioxidants which restores damaged skin, and wrinkled skin. 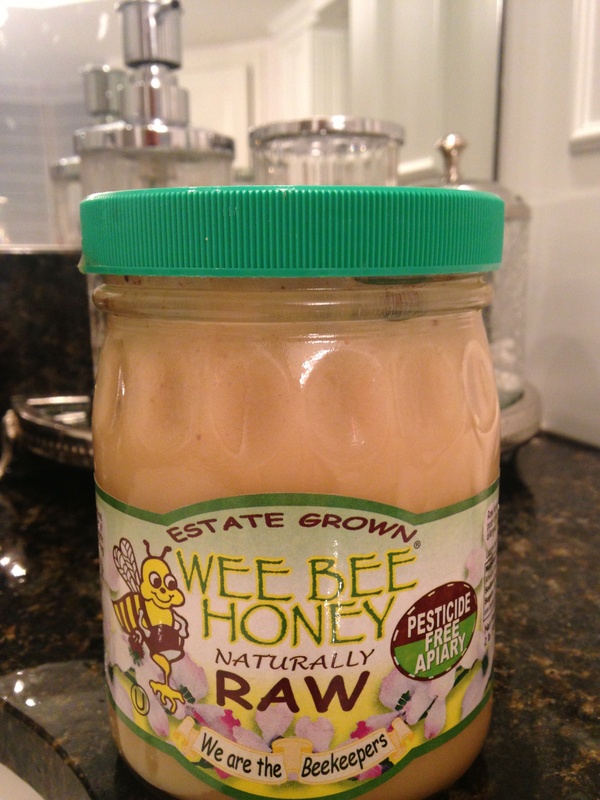 I prefer the creamy raw honey as pictured above. Simply scoop out a small, quarter-sized amount of honey and rub it over your face. I recommend you putting a head band on to pull all the loose hairs off your face. Leave it on for 20-30 minutes, and repeat 3 X a week if you truly want to see results in your skin. 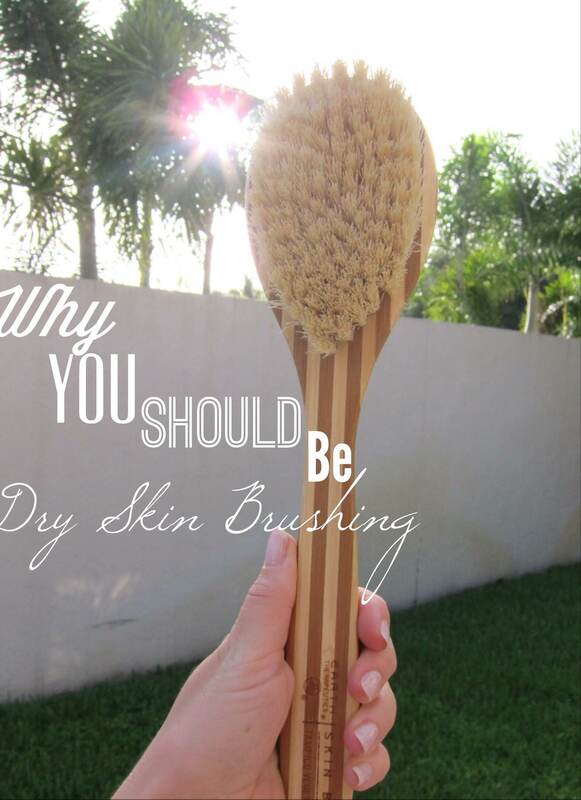 5 reasons why you should be dry skin brushing. You brush your hair, you brush your teeth, you brush your pets, but do you dry brush your skin??? You might think this post is coming from out of left field, but did you know that your skin is the largest organ in your body? If you are spending the time and money to ensure that your internal health is in the best condition, it’s important to remember your SKIN. 1. Your skin has a very important job of eliminating toxic waste. It is estimated that about 1 lb of waste is eliminated through your skin, DAILY. If your pores are clogged, your body is not able to function the way it is supposed to. We all regularly exfoliate our face, for many reasons. Why not make your entire body part of that skin care regimen? 2. 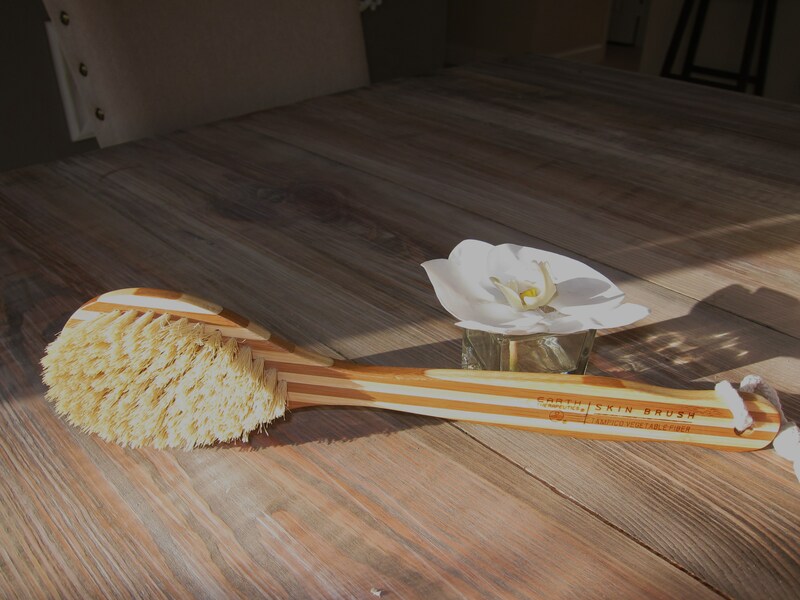 As you brush, you are increasing circulation to the skin, to promote detoxification. 3. Reduce cellulite as your body is breaking down fatty pockets in the skin. As you are skin brushing, you are stimulating the lymphatic system to clear toxins from the body. The detoxification process is responsible for breaking down the fatty pockets in your skin that cause cellulite. Brushing dry skin tightens the epidermis, further causing the breakup of the fatty toxic build up we see as cellulite. 4. It improves muscle tone by tightening the skin. This is especially great if certain areas of your body are starting to sag. 5. Brushing dry skin promotes brighter, smoother, more beautiful skin! 1. Purchase a brush with NATURAL fibers, not synthetic. You can find them at Whole Foods, Nutrition Smart or any local health food store. 2. ALWAYS use a DRY brush on DRY skin. Also, keep your brush in a dry area… not inside the shower. It is extremely beneficial to dry brush your skin right before the shower. 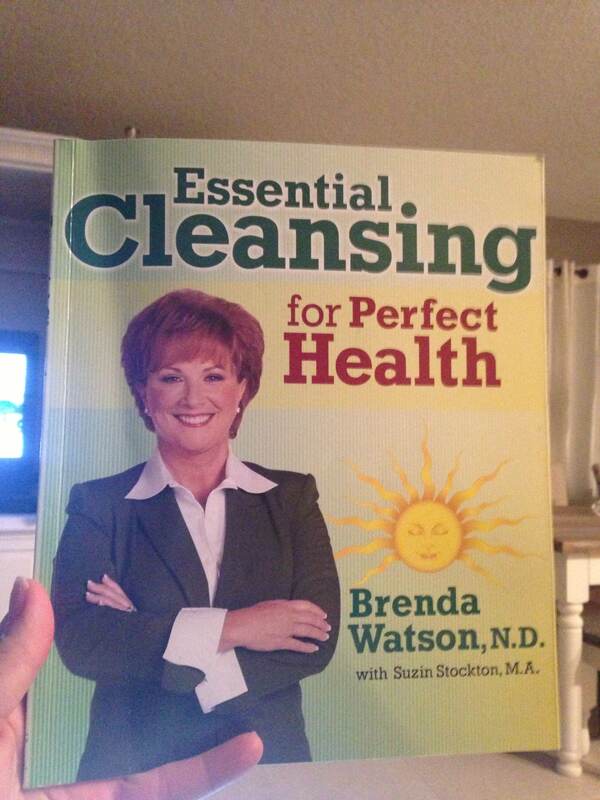 This will ensure that you are washing away the dead skin cells and toxins you just brushed off. 3. Next, you will need to make sure you are ALWAYS brushing towards your heart. Here is a graphic to help you remember. You should avoid any areas that have open wounds, rashes, acne, or sensitive skin. When you are brushing your stomach, you should brush in clockwise motions. 5. Keep your brush clean. Thoroughly wash your brush at least once a month with a natural, mild soap and some warm water. Let it dry for 24 hours before you use it. This will prevent bacteria growth. 6. I keep my brush right beside my shower ledge to help me remember to brush every morning. Out of sight, out of mind… so keep yours in a spot where you will remember. CHEEERS to DRY SKIN BRUSHING…. this is an EASY routine you can add in order to make sure you are keeping your skin healthy. I haven’t blogged in about a week, because I was traveling. I was in my favorite city, Chicago!!!! Before we left, I was determined that I was going to continue to EAT KLEAN while I was on this trip. It’s always a struggle to know exactly HOW you can still eat healthy when you are traveling. One word…PREPARATION. It is important to plan ahead. You cannot just jump on the plane and hope and pray that some kale chips, and flax seeds, and greens juices will be served all along your journey. Most likely, you will have to go on an extreme scavenger hunt to search for KLEAN FOODS, as well as bringing your own stock of healthy foods to keep in your bags. 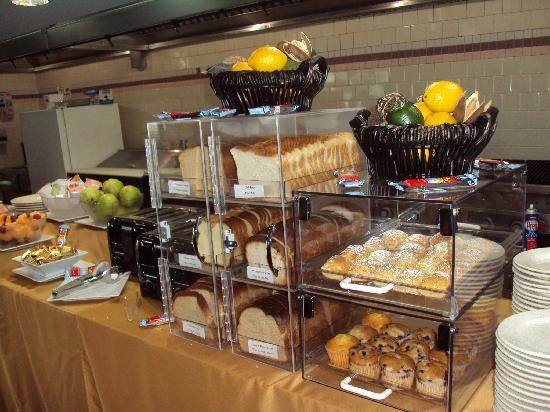 Now, I had the lovely advantage/temptation of receiving complementary breakfast every morning at my hotel. This is what I woke up to every morning. I walked down, and spent a good 10 minutes searching for one thing that I could eat. There was nothing! Even the omelet bar was not made from 100% real, organic eggs. They were using Egg Beaters poured into a pan that had been sprayed with toxic, chemical-laden, NON-STICK spray…. NO THANKS! 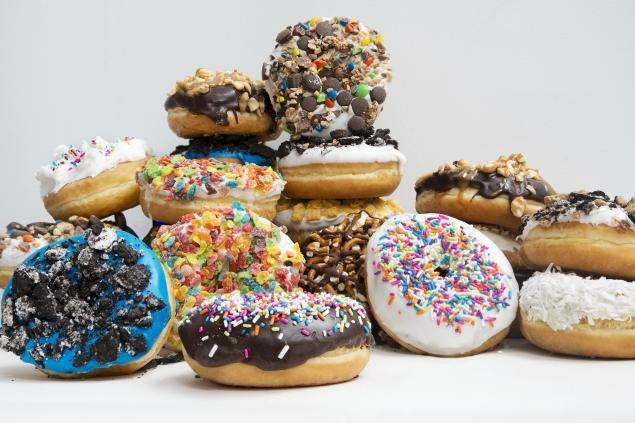 It was actually sad yet empowering to me to look around and see the hundreds of people in the café eating their donuts at 7:00 am, without the slightest care or knowledge of what they were doing to their bodies. It reminded me why I am doing this blog. The first thing you need to prepare for is a healthy way to start each morning. The easiest thing you can do is purchase a box of organic, unsweetened, flax oatmeal packets. I ALWAYS have at least 2-3 oatmeal packs in my purse, on any given day, even if I am not traveling. You can pretty much find a Starbucks in any city. It is so easy to walk in and ask for a hot cup of water. The next thing I ALWAYS have in my purse is liquid Stevia drops. After I pour hot water into my oatmeal, I add 4-5 Stevia drops, and a dash of cinnamon. 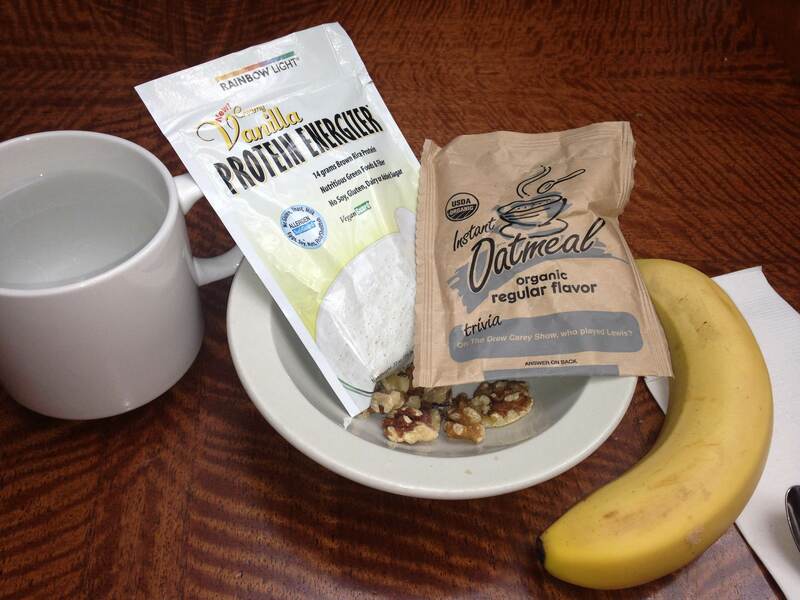 The next thing you will want to make sure you have in your bags, are a few protein powder packets. I always add 1/2 pack to my oatmeal in the morning. The other 1/2 can be saved for a mid- morning snack. I really like the vanilla Rainbow Light Protein Energizer brand. It is gluten-free, sugar-free and lactose-free and a great choice for people with allergy concerns. 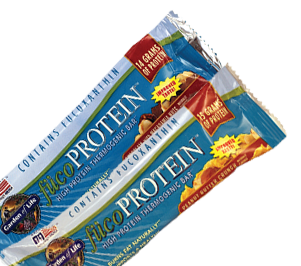 It is free of most common allergens, including soy, yeast, milk, eggs, nuts fish and shellfish. It is vegan, vegetarian and free of animal products. It also includes a wonderful energy and digestive enzyme blend. 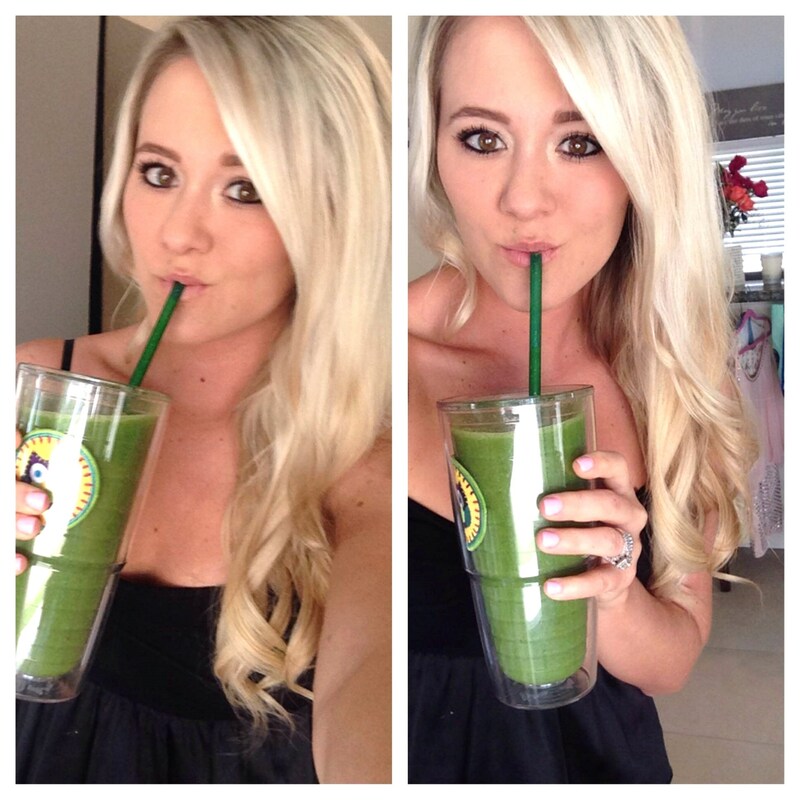 There are 225 mg of nourishing green foods, such as kale and spinach and 200 mg of organic spirulina. You can add 1/2 of a banana to add more flavor if you wish. This is a WONDERFUL way to start your day. It is always a very hard thing for me to ensure that I am getting a super potent amount of quality, organic greens while traveling. I can rest assured when I travel with my Chlorella. Unfortunately, the quality of our commercially grown produce is severely deteriorating. It is hard to achieve maximum health with diet alone today, for the main reason that our soil is so depleted of the major nutrients it once had. This is one reason why I choose to eat organic, but another easy way to SUPERCHARGE your health is found in these small, dark green tablets. It is an algae that is PACKED vitamins, minerals, and amino acids proven to prevent disease and improve overall health. It acts as a major detoxification in the body. 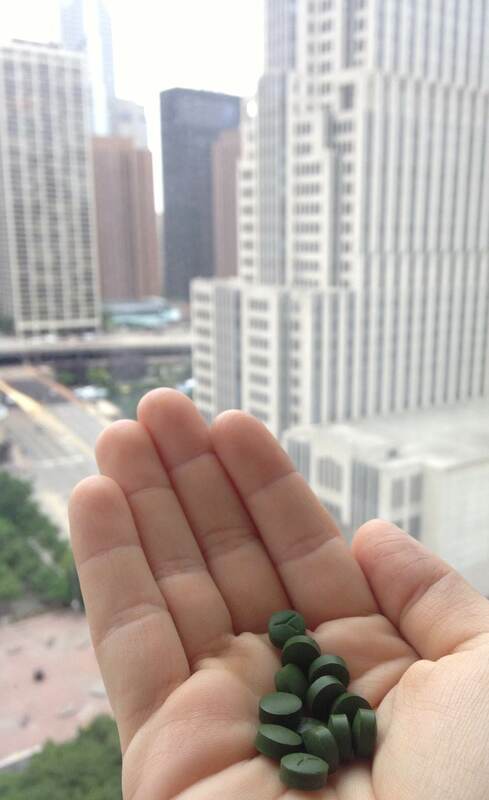 Chlorella is proven to help with cravings, and in turn will make it much easier to avoid the junk while traveling. It has amazing cancer fighting benefits as well as a natural source of energy. I made the mistake of taking these right before bed once, and I was up for quite a while. 🙂 I recommend taking them in the morning, on an empty stomach…before the oatmeal. Drink it down with some lemon water, first thing in the morning. It is important to not just purchase any chlorella. I recommend Dr. Mercola’s. http://products.mercola.com/chlorella/ Read more here, and purchase his directly through his site. 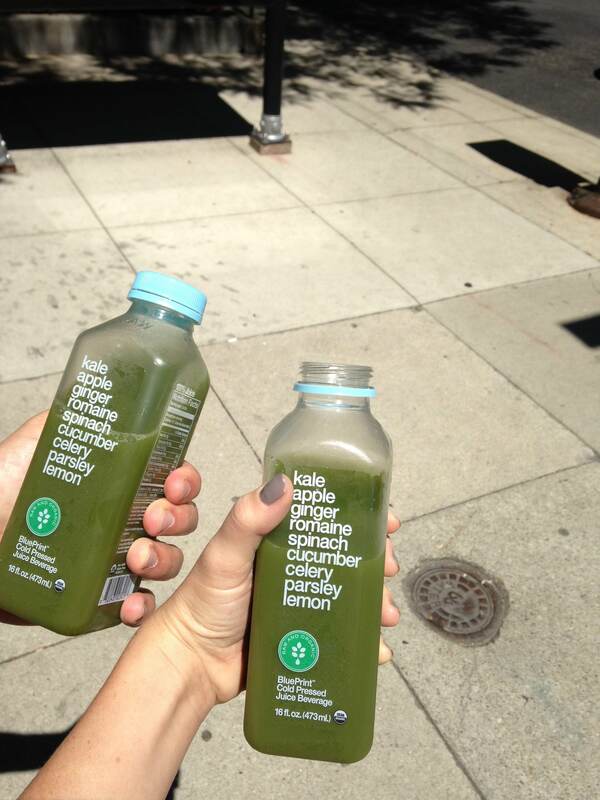 Next, TRY to find a local health food store, Whole Foods, or juice bar. I was determined to continue drinking my greens juice. 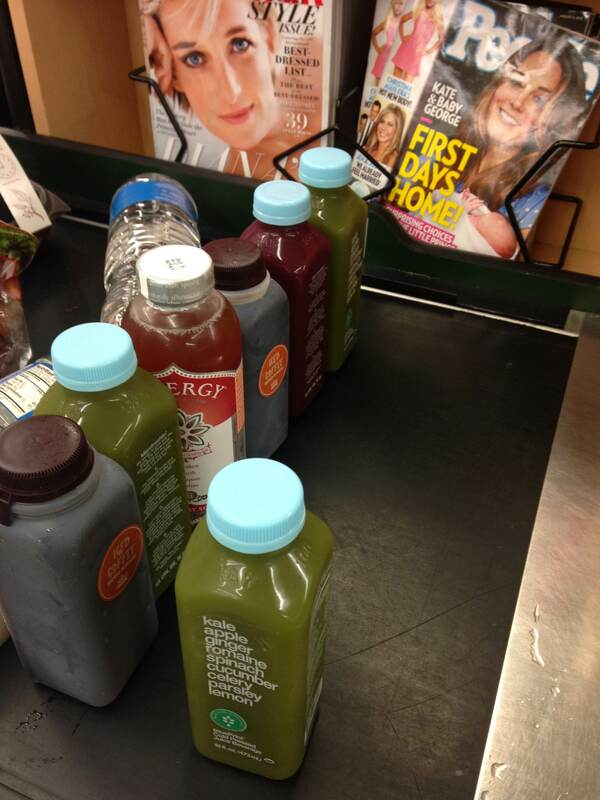 So, when I found this Whole Foods (and yes I walked a mile to get there, and a mile back with a heavy bag of juices) I was so excited! I also made sure to get a Kombucha, and of course my iced coffee. 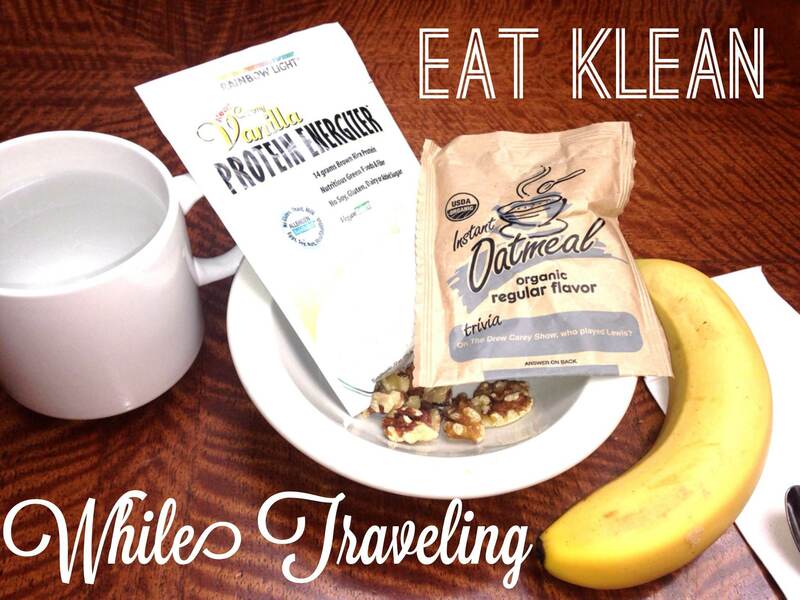 Protein bars are an easy way to snack healthy while traveling. Garden of Life makes some great bars. They are high in protein, and low in sugar and carbs. 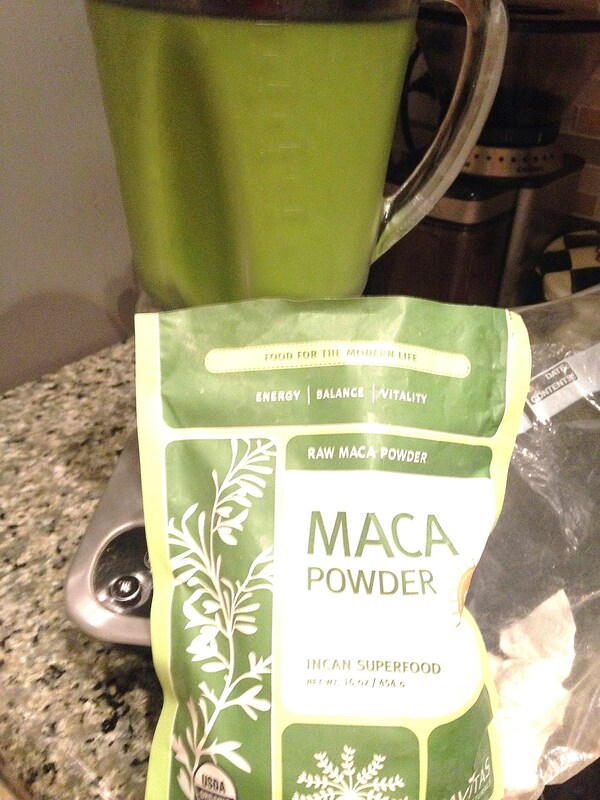 I am in a good routine of taking Maca every morning in my shakes. I obviously can’t bring my blender with me…. ;-)… so Maca capsules are the way to go. Make sure you also bring enough multi-vitamins for each day. 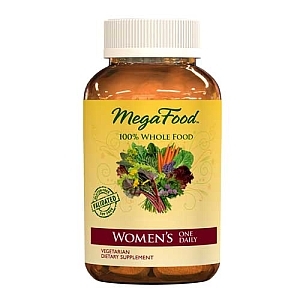 I recommend Mega Food. They are 100% food/plant based. They will not upset your stomach. They are filled with amazing greens, minerals, and vitamins you definitely want to flood your body with. I like them better than RAW or New Chapter, because they contain no YEAST or other fillers and binders. There is no point in taking a multi-vitamin, or ANY VITAMINS for that matter, if they are synthetic. They will actually do more harm to your body than good. Lastly, I recommend always bringing some Magnesium Malate with you. Magnesium malate is most easily absorbed in your body, and it is very important in keeping your digestive tracts regular. Traveling can often negatively affect your digestive tract, and magnesium will help with that.